London: Edward Arnold. Very Good+. 1938. Softcover. 9781406797190 . Edward Arnold, London edition, copyright 1938 (much later printing) , same ISBN as Hesperides Press edition. Brown cover with black lettering. Ex-library book, but still in great condition - sturdy laminated cover and usual ex-lib type of markings. Pages clean and intact - overall wear is minimal. 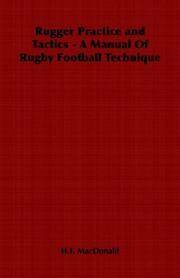 ; 8vo 8" - 9" tall; 141 pages; Originally published in 1938, this is book is a comprehensive manual of rugby technique and tactics. Well illustrated throughout with photographs and diagrams, this still contains much of practical use to the modern reader. Contents Include: Individual Practice Dribbling Tackling Kicking Passing Body-Swing and Running with the Ball Combined Practice The Forwards The Tight Scrum The Loose Scrum The Line Out Forwards in Defence Forwards in Attack The Backs The Scrum-Half The Stand-off Half The Three-quarters, The Centres The Three-quarters, The Wings The Full-back Combined Attack Combined Defence Miscellaneous Clothing, Training, etc Refeering and Touch-judging Learning From Example. (250osl, 0211) . Very Good. 1997. First Edition. Softcover. 1882180461 . Light edge and cover wear. Pages clean & tight. B/W photographs. Oversize paperback, 291 pages. REVIEW: "Two veteran NFL officials offer their observations on the game and the role of the referee. Both cover common ground in tracing their careers through high school, collegiate, and pro ranks, devoting considerable attention to controversial calls and clashes with famous coaches (Woody Hayes, Ara Parsegian, John Madden et al)....." ; 8vo 8" - 9" tall . London: Bison Books. Fine in Very Good+ dust jacket. 1988. First Edition. Hardcover. 0861244303 . Very nice copy. Hardcover is tight and unmarked. Jacket has light edgewear, couple small tears, sticker residue on front, clean. B/w & colour photos. Biography of the greate st quarterbacks in football history, including 140 archival & colour photos. ; 4to 11" - 13" tall . London: Hodder & Stoughton. Fine in Near Fine dust jacket. 2005. First Edition. Hardcover. 0340841141 . Excellent, near new condition. Hardcover is clean & unmarked - pages have a little waviness to them but I believe this is caused by the numerous pages of glossy photos. Jacket has slight edgewear and a little wrinkling around edges, not price clipped. 336 pages. B/w & colour photos. 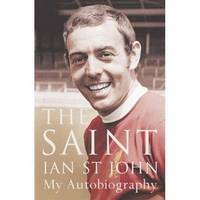 Ian St. John is one of the most celebrated players in British football history - known to millions as a central figure in the phenomenally successful Liverpool team of the 1960s, as star performer for the Scottish national team, and latterly as one half of TV's favourite double act "Saint & Greavsie".....; 8vo 8" - 9" tall . Toronto: Sport Classic Books. Fine in Near Fine dust jacket. 2003. First Edition. Hardcover. 1894963083 . Excellent condition - slight wear to two jacket corners and bumping to one corner of the hardcover. Interior is clean & unmarked. Illustrated in b/w & colour. Price sticker on rear. 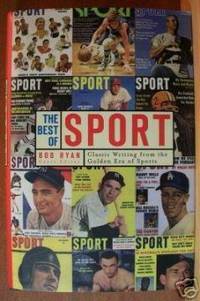 From its first issue in September of 1946, SPORT magazine was a hit. This anthology includes 24 classic articles from SPORT, each a snapshot in time by a celebrated writer depicting a famous sports figure. Each story is completed by an epilogue telling the rest of the story - what happened to the athlete and his career & life in later years. Also included is classic photography from the pages of SPORT. ; 8vo - over 7¾" - 9¾" tall . Red Deer, AB: Johnson Gorman. Fine in Near Fine dust jacket. 1999. First Edition. Hardcover. 0921835531 . 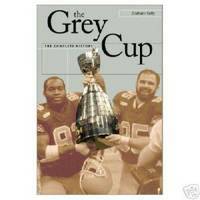 Signed/Inscribed by author on title page: "Dear ____, I hope you enjoy this trip down Canadian football's memory lane. I know you'll enjoy Chapter 1. Graham Kelly. " HC/DJ - fine/near fine. Hardcover is clean and unmarked, light wear to bottom edge. Jacket has light edgewear, light scuffing and a few tiny tears to bottom edge, light scuffing, not price clipped. 480 pages. B/w photos. ; 8vo; "The inside story of Canada's première sporting event and the most comprehensive book ever written on Canada's national autumn classic. From the first game in 1909, Graham Kelly covers it all, drawing on extensive research and on 35 years of personal interviews and observations, taking readers behind the scenes and into the lives of the stars whose names have become synonymous with the game. " (*Note - due to weight, there will be extra shipping to most locations) ; Signed by Author .